In Waku, Benue State, one of the numerous villages in Nigeria’s ‘Middle Belt’ displaced by Hausa-Fulani Muslim herdsmen, on 18 August a small frightened calf was tied to a stake by a group of Christian villagers. The angry mob was waiting for the arrival of its owners, herdsmen who’d destroyed a farm belonging to a Christian, shortly before he could harvest his produce. It was a strategy that could subdue the herdsmen, who have a traditional sentimental attachment to the protection of tender calves: they would come to pick it up. Sure enough, within hours, the herdsmen who owned the calf arrived; and if not for the intervention of some community elders, the angry mob would have attacked the herdsmen. A local war and violent conflict was suspended but not averted. These kind of incidents are very common, as the Hausa-Fulani Muslim herdsmen’s attacks continue unabated across central, and now into southern, Nigeria. The reasons for the continuity of these attacks are not far-fetched. 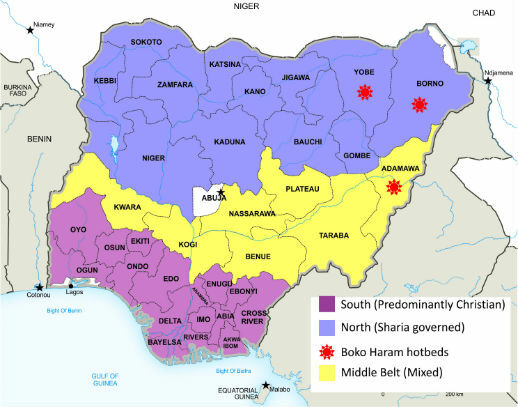 At the height of the Boko Haram violent conflict in 2011, the Hausa-Fulani Muslim herdsmen took advantage of the ‘conflict environment’ to launch attacks against Christian communities, particularly in the Middle Belt region of Nigeria, with the purpose of conquering the territory. Shortly before the 2015 general elections, these herdsmen’s attacks increased tremendously, affecting some of the north central states, especially Taraba, Benue, Nasarawa, Plateau and Kaduna. Over the past five years, official figures* show that thousands of Christians have been killed and at least a million others displaced. The intervention of the Nigerian government has been slow and haphazard. In mid-August, the Federal Minister for Agriculture reiterated the need to frame a government policy on the establishment of grazing areas for Fulani herdsmen. Joint meetings between government officials and community elders were held in states such as Benue, Taraba, Kaduna and Plateau – followed by the issuance of communiques calling for more consultation. In Plateau State, which is majority Christian, this prompted a call by the Christian Association of Nigeria against the Federal Reserves’ Grazing Bill that 11 states are said to have agreed to. However, no attempt was made to address key issues. No herdsmen were held accountable for the atrocities already committed; there was no discussion of prosecution for perpetrators, nor of compensation, nor provision of security for victims. Many communities were left displaced and fearful, without any security. At one point, the government blamed not the herdsmen but displaced Boko Haram fighters, both local and foreign, effectively undermining the reality of attacks perpetrated by the herdsmen against indigenous Christian communities. 1-3 Aug: 17 Christians killed in Godogodo village, Jama’a LGA, Kaduna. 21 Aug: Three Christians killed, including Pastor Luka Ubangari of the Redeemed Christian Church of God (RCCG), in Anguwan Anjo, Godogodo. Said to have been ambushed and shot during a pastoral visit to Golkofa, a local neighbourhood. 8 Sep: Christian farmer Aondoaka Maka killed at Antsongo Akiki in Jatau village, Bornon Kurkur, Bali LGA, Taraba. Herdsmen destroyed Maka’s farm produce and fed it to their cows. With no authority to appeal to, Maka confronted them and was butchered to death. 25 Aug: Over 50 Fulani herdsmen armed with AK-47 and machetes attacked the community of Ndiagu, Attakwu, Akegbe-Ugwu in Nkanu-West LGA of Enugu state. They beheaded a Catholic seminarian, Lazarus Nwafor, slit open the stomach of a pregnant Christian woman, Mrs Ogbodo Nwarum, and injured several other people. The consistency of these attacks, including lack of security and government attention, has forced many communities and states to find ways of protecting themselves. For instance, states such as Ekiti, Taraba, Plateau and Benue have rejected the policy of the government to impose grazing areas for Fulani herdsmen because, they say, the herdsmen do not run institutions bound by laws and regulations. They are therefore incapable of enforcing any joint community agreements regarding these grazing fields. 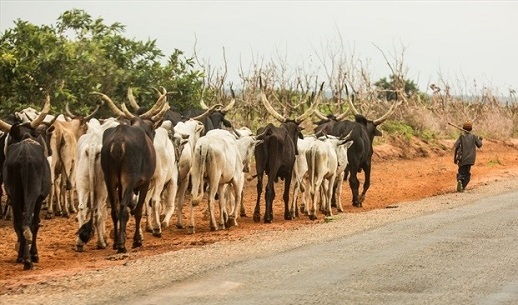 Importantly, in cases where herdsmen have been allocated the most fertile land belonging to farmers who depend on that land, it motivates more herdsmen to carry out attacks, giving legitimacy to their demands, and encourages other movements to adopt violence in securing their requests from the government. In Benue State, an indigenous group called the Movement Against Fulani Occupation (MAFO) was formed a few years ago. MAFO is a non-violent group committed to creating awareness of the atrocities of the Hausa-Fulani Muslim herdsmen in Benue and beyond. Furthermore, it is intended to influence government policy on preventing Fulani herdsmen from occupying land belonging to indigenous communities. Importantly, it also wants to draw the attention of the international community to the atrocities perpetrated by the herdsmen. Despite these indigenous efforts, the atrocities of the Hausa-Fulani Muslim herdsmen against Christian communities continue in both central and southern Nigeria. Public opinion among the victims suggests that, as the dominance of Islam continues to grow under the current administration of President Muhammadu Buhari, there seems to be a conspiracy to take over Christian territories. At the moment, many local communities are without protection. Their farm produce has been destroyed, and houses and farmland taken over by the Fulani herdsmen. One way or another, victims will be forced to arm and defend themselves. Without concrete government intervention, the conflict can only be delayed; the atrocities won’t stop. *Benue State Emergency Management Agency 2014 Report on Internally Displaced People, seen by World Watch Monitor. Atta Barkindo has almost finished a PhD at SOAS, University of London, UK. This article is based on his recent travels through the Middle Belt states of Nigeria, when he met eyewitnesses of the attacks he refers to. He’s also recently published an article on Boko Haram for the African Research Institute’s ‘Counterpoint’. Last year, World Watch Monitor published his detailed report on Fulani violence in the Middle Belt, and in 2014, at the time of the Chibok girls’ kidnap, his report on Boko Haram violence against women and girls since 1999.